Health Benefits Of Cinnamon Leaf Essential Oil: Better Than Cinnabon! 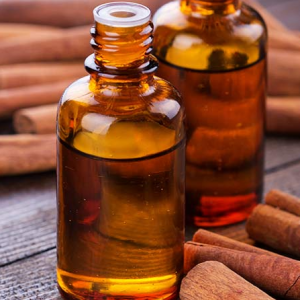 Home | Essential Oils | Health Benefits Of Cinnamon Leaf Essential Oil: Better Than Cinnabon! 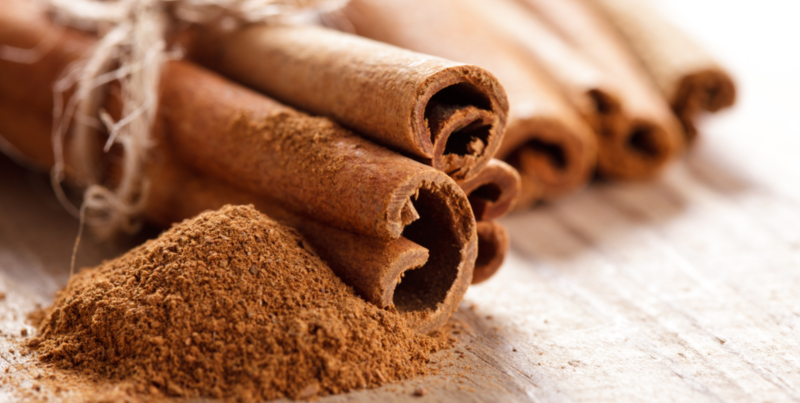 Most of us have probably come across cinnamon in its raw or powdered form. It’s one of the most common spices and we’re likely to encounter it in many different food and drink recipes. In fact, you probably have a container of the spice in your kitchen right now! The spice is full of rich, natural antioxidants and is ranked in the top most used spice. So you can be sure that the healing benefits of this amazing spice are guaranteed. In fact, cinnamon has been held in high regard as a natural cure-all and health treatment throughout most of history. The spice was shrouded in mystery for many centuries as few really knew where it grew, although it was later discovered to be native to Sri-Lanka. Some of the first instances of the use of cinnamon as a medicinal treatment and flavoring date as far back as 2000 BCE during the times of the ancient Egyptians. The spice was used to treat wounds, general illness and was offered to the God’s as a gift. Throughout most of history and in the middle-ages, cinnamon was worth it’s weight in gold – making it a highly revered and sought after commodity. Thankfully, the spice is cultivated en masse in modern times, making it readily available and quite affordable. However, in this article I will not be focusing on the cinnamon most of you know – the type that’s derived from the bark of the tree. Instead, I’d like to focus on the essential oil that is produced from the leaf of the cinnamon tree.Cinnamon oil is extracted from the bark of the tree and is incredibly potent and highly concentrated. This means it often has to be distilled a few times before it’s suitable for topical use or ingestion. 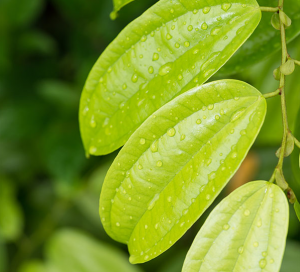 The oil produced from the leaf of the tree is much easier to distill and far more mild, making it more affordable and suitable for medicinal use. It’s nonetheless an incredible natural cure-all and can be used to help supplement your current diet, treat various skin, hair and health issues, or boost your immune system – helping to fight off infections. So understanding more about this amazing natural product can be very beneficial on your path to a healthier, holistic lifestyle. As I mentioned in the opening paragraph, even though the oils both originate from the same genus of tree (Cinnamomum verum), both oils are produced from different parts of the plant. This means that they have different chemical compositions (albeit a minor difference) and can be used to treat different ailments, illnesses and parts of your body. 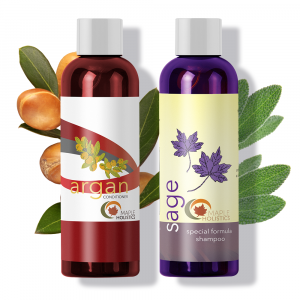 As the name describes, Cinnamon Leaf oil is derived from the leaf of the cinnamon tree, and is more mild and cost-effective than oil produced from the bark of the tree. This makes it more suitable for regular and medicinal uses. The oil has a rich chemical composition of vital natural phytochemicals which lend themselves to the oil’s healing abilities. The most notable of which are eugenol, linalool, benzyl benzoate and small amounts of a chemical known as cinnamaldehyde. The former of which make the oil highly effective as a natural insect repellent, and can be applied topically to help treat and reduce insect bites – as well as any disease or infection that may come from them. The oil is usually extracted from the leaves through a process known as steam distillation – one of the oldest methods of distillation currently still in use. The method is based on the process of evaporation which is the key method of extraction used to extract the essential minerals, nutrients and phytochemicals from the organic matter – in this case, the leaves of the cinnamon tree. First, the leaves are dried or crushed to help enable the extraction process. They are then added to a vat of boiling water and left to boil for roughly 5-6 hours. During this time, the steam produced by the boiling water extracts the necessary phytochemicals from the organic matter through the evaporation process. The steam then passes into a separate cooling chamber, where it cools and condenses to form droplets. As these droplets gather at the base of the chamber, they makeup the liquid that we know as essential oil. It’s referred to as essential oil because it shares the same ‘essence’ or scent of the organic matter that it was produced from. The cooling chamber is usually connected to a tap or a flask which used to remove the liquid from the chamber for bottling or packaging. It’s quite a simple recipe and shouldn’t take more than an afternoon to do. It’s important for me to note that this guide will not produce pure, essential oil but rather an infused oil. The process of creating essential oil (explained above) is quite costly and is generally only suitable for large scale production of the oil. 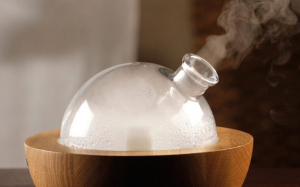 The oil produced by steam distillation is of a very high grade and contains no added chemical impurities – which is why it’s suitable for medicinal use. A glass jar with a sealable lid. A pot (big enough to fit the jar in) as well as a clean sponge and some dish soap. 500 ml of Olive or Canola oil. A normal steel mesh strainer. A coffee filter or muslin/cheesecloth as a filter. First, clean your glass jar with the sponge and dish soap thoroughly. While you’re doing this, fill your pot at least half way (maybe a little more than halfway) with water and bring it to a boil. Once you’ve cleaned and rinsed your glass jar, place it (and the lid) directly in the boiling water and let it boil for around 15 minutes. This will ensure that it’s sterile. Now, simply add the oil of your choice to the frying pan with the cinnamon powder using a ratio of 1:4 (1 part cinnamon powder to 4 parts oil). Allow this oil to simmer for 3-5 minutes and stir continuously to avoid burning. Once that’s done, take the oil off the heat, place your coffee filter (or muslin/cheesecloth) in the mesh strainer. Place the strainer above the glass jar and slowly pour the oil through it and into the jar. Once that’s done, seal the jar and store it in a cool place out of direct sunlight. This works well in cooking and for skin and hair use. However, it’s less effective in treating health issues than cinnamon leaf essential oil. You can add a few drops of the essential oil (as well as others) to this infusion to help strengthen its properties and extend the use of your oils for more time, thus increasing your value for money. Using cinnamon leaf essential Oil in a diffuser. This is a really great essential oil to use in aromatherapy and can do wonders to help lift your spirits after a long, tiring day, as well as help to relieve stress. 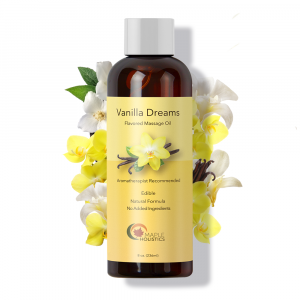 The oil also works well as a natural sedative, so it can be used to help induce healthy and uninterrupted sleep – a vital part of maintaining a healthy body and keeping your hormones and emotions well balanced. 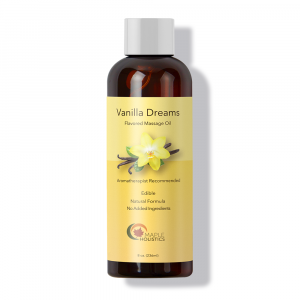 The oil can be blended with vanilla, bergamot, orange, ylang ylang, mandarin or rose essential oils to help increase its calming properties as well as to create a truly wonderful scent that will leave your home smelling fresh. The oil has a spicy yet sweet aroma that blends easily with other oils and has fixative properties. This means that it can increase the strength of a newly made scent as well as making them last longer. However, the oil can also be inhaled directly from the carrier as well as added to freshly boiled water and used as a steam treatment for more immediate relief of headaches or as a stronger sedative. Cinnamon leaf essential oil helps our skin cells to retain moisture. As I mentioned in the beginning of this article, cinnamon as a spice contains higher amounts of natural antioxidants than any other spice. Similarly, the oil produced from the leaf of this tree is loaded with antioxidants which make it incredibly well suited as a skin treatment. However, as a word of warning, I always recommend blending or diluting the oil in a suitable carrier oil (coconut, olive or canola oil) before applying it to your skin as it’s quite potent in its raw form, and can lead to irritation on sensitive skin types. However, the oil is considered a safe and non-toxic skin treatment, and is generally safe for use on most skin types. The rich antioxidants contained within the oil help to remove and prevent the formation of free-radical molecules on your skin. These can occur with excessive exposure to the sun’s harmful UV rays, eating fatty foods, using products that contain high amounts of chemicals (most notably parabens) and from certain types of medication. Little is known about these molecules and what causes them to react, but what we do know is that they can bond with our body’s cells and lead to chain-reaction like effects that cause serious cell damage and degeneration. They have also been linked to the development of cancer in our bodies, so treating them quickly is important. Antioxidants help to trap and contain the free-radicals before they can bond with the cells in our body, thus enabling us to flush them out before any damage is done . Cinnamon leaf essential oil also helps our skin cells to retain moisture – which means that it’ll be nourished for longer periods of time and can stay moisturized over the course of your day. The oil is also has natural antiseptic and antifungal properties, so it can be utilized to help treat minor wounds and be used as a general disinfectant, as well as treating fungal infections such as Athlete’s foot and preventing the formation of the Staphylococcus bacteria. The same properties that make cinnamon leaf essential oil suitable for treating your skin, make it equally suitable for keeping your lips moist. It also can help heal any damage that may occur from dehydration – such as chapped lips or cracking. Most conventional lip balms tend to dry your lips out after a short while, which you have to continually use them to help keep your lips from getting dry. Almost like an addiction! Simply scrub your lips with a soft-bristled toothbrush for a minute or two – make sure that you’re gentle or you’ll damage your lips. Then add 3-4 drops of Cinnamon Leaf essential oil to a teaspoon of coconut oil. Then rub the mixture onto your lips. If there’s excess oil on your lips, simply kiss a tissue to get rid of it. This is especially great for use during those dry summers or cold winters and it’s sure to keep your lips feeling moist and healthy. Cinnamon leaf essential oil contains a high amount of natural antioxidants. If you haven’t made the shift to using natural products in your hair already – then you’re falling behind! 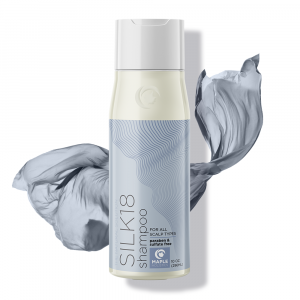 Many people are waking up to the harsh reality that most of our shampoos, conditioners and hair sprays are loaded with toxic and ultimately damaging chemicals that can have really negative effects on your hair and even your health. The more drastic reaction to this is known as the ‘no-poo’ method. This means; not using any shampoos or products on your hair whatsoever. However, this isn’t always a realistic option for many of us who either want healthy, lighter hair or need to treat our scalps on a regular basis. It’s true that we’re all unique, which means that our skin and hair types all need to be treated differently. So, instead of using a chemical based shampoo in future (and not wanting to cut hair products out of your life completely), I recommend using herbal shampoos and essential oils to treat your hair. 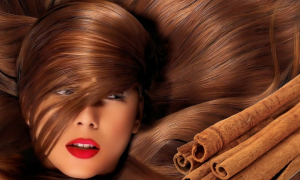 Cinnamon Leaf essential oil is great for treating your hair as it contains a high amount of natural antioxidants, which can help to wash out any free-radicals (explained in the paragraph on skin care) and prevent your hairs from getting damaged over time. This also means that the hair is protected from germs or general air pollutants that may gather over the course of the day. The oil is also a strong natural anti-inflammatory agent and can also be used as an antiseptic, non-irritating conditioner. This means that it can help to treat and relieve scalp inflammation – one of the main causes of dandruff in our hair, as well as kill off any germs that may originally causes inflammation or worsen it. The oil helps to stimulate blood circulation to the scalp when massaged in and can help to nourish your hairs from within, thus resulting in stronger, healthier hair overall as more nutrients are able to reach the hair follicles. 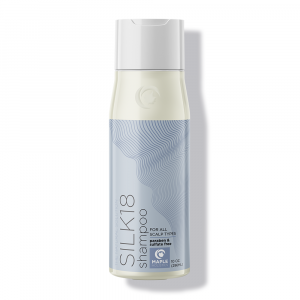 This can also help to stimulate hair growth and ultimately slow the process of hair loss or prevent it from happening altogether with regular use. 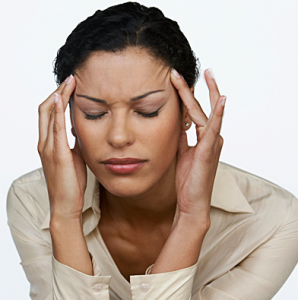 Taking too much cinnamon leaf essential oil may cause headaches. 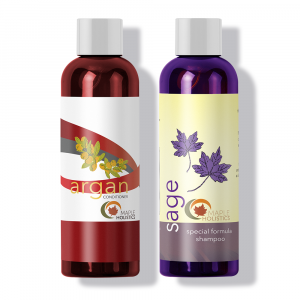 As with most essential oils, cinnamon leaf essential oil is best used when diluted in a suitable carrier oil. Although it’s a natural, non-toxic product, it’s still a strong concentrate and can cause certain health issues if it’s ingested in too large a dosage or too often. The rule of thumb is that too much of any good thing can be a bad thing. The same applies to essential oils. It’s important not to use cinnamon leaf oil during pregnancy or on children under the age of 8 as it can cause upset stomachs, headaches and dizziness. If you do wish to use the oil in either case, it’s important to seek the advice of a medical professional before doing so. Taking too much cinnamon leaf essential oil may have similar effects on an adult too. Headaches, nausea, stomach cramps, diarrhea, mouth sores and skin irritations have all been linked to taking excessive amounts of undiluted cinnamon leaf oil or having an allergic reaction to the oil. So always be sure to use small amounts in regulated doses and dilute the oil before use as well as patch test it to ensure that your skin doesn’t have any negative or allergic reactions to the oil. Read on at Maple Holistics and learn more about Essential Oils: Spikenard, Palmarosa, Citronella and Jasmine! In general though, I strongly recommend utilizing essential oils as part of your daily life to help boost your immune system, keep your spirits up and treat a variety of skin, hair and other health issues that we generally use chemical-based pharmaceutical products to treat. If your health means a lot to you, then using natural products and holistic methods to get better, maintain your health and treat your ailments is the best possible solution or alternative. We all know the side-effects that come with most opioids, flu medicines, shampoos and other chemical medications – so don’t waste time trying to treat a symptom (or the surface of the issue), when the real solution lies within. It doesn’t take much to make the shift, and essential oils are a great way to start your journey to a healthier, happier life. So what are you waiting for?